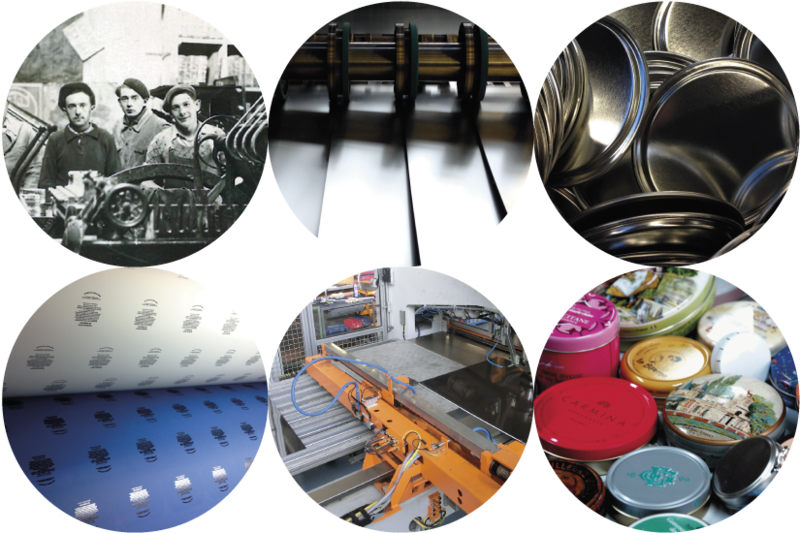 Independent manufacturer of metal packaging & specialist in printing and varnishing on metal since 1890. Printer and varnisher on metals, we print each year several million sheets for any type of application, spot color or four-color, tinplate and aluminium. We offer a standard range of deep-drawn cans and stapled cans in a diameter of 45 mm to 140 mm, all customizable. Our cans are often used to contain cosmetics, confectionery, pesticides, cleaning products (shoe polish, floor polish, grease ...), and are also used as ashtrays. Special effect varnishes, brilliant, matte, soft, cracked are available, as well as sealable sales. Boudeville & Fontaine - 2019 - All rights reserved.